Pandanda - Henry's Blog: Zing Ballyhoo Returns! Zing Ballyhoo is back in Pandanda Land! Yeah, he was a little late, but he made it, and that's what matters! 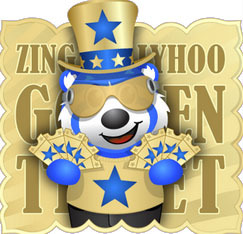 Collect ten of the Golden Tickets that he has hidden all around Pandanda, then visit him in the Treehouse Lobby to get your prize. I've already seen a lot of you wearing his first prize. I am very curious to see what his prize theme is this time! 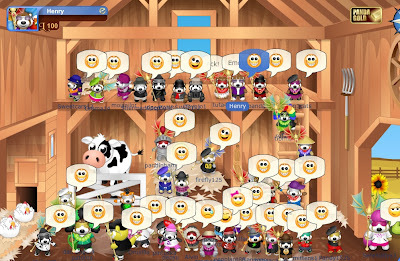 I had a great time visiting with a crowd of pandas at the Level 50+ Party this past Saturday. 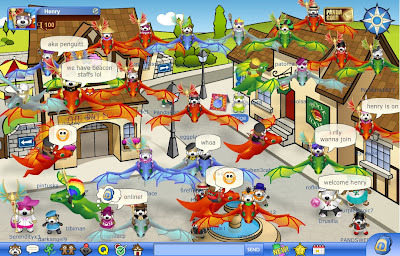 There were so many dragons flying around that it really slowed the site down! 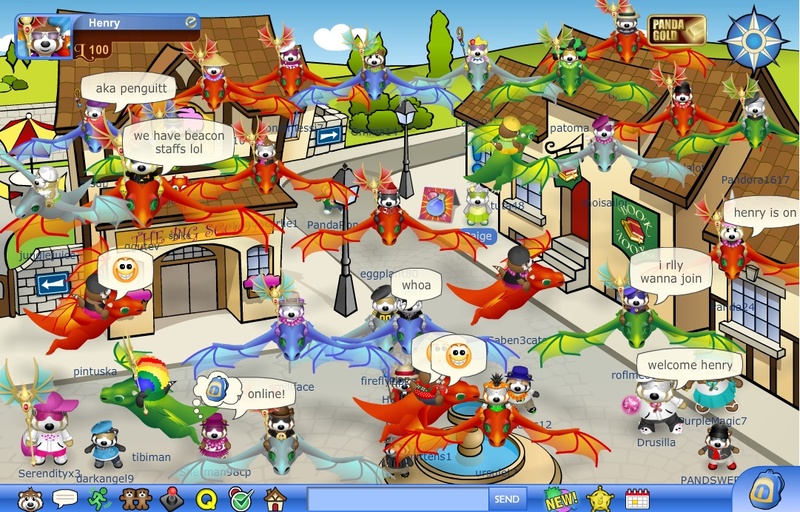 After taking a couple of dragon-back pictures, we all decided it was best to send our dragon companions back to our backpacks, so we could have an easier time typing and chatting. 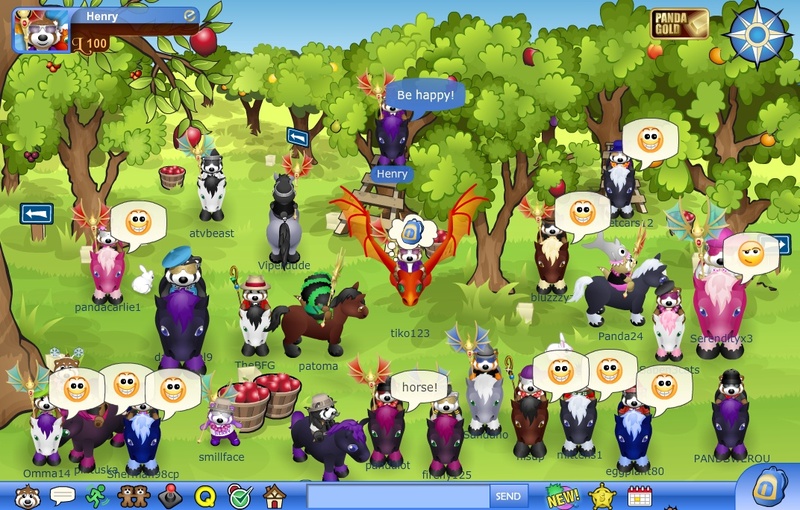 Horses and ponies and a dragon, oh my! I shared some information about updates with them, and now I'll share those updates with you all! Questy IS going to be adding some Quest rewards for Level 75, as well as some of the other high levels later this month. There should be even more around Christmas. Look for some new Halloween costumes in October. New Quests will be added later this year. Those are just a few things for everyone to look forward to! And don't forget about Pandanda Game Day coming up this Saturday! There will be lots of chances that day to win Panda Gold from Moderators while playing Ghosts of Misty Hill and Bunny Chase. I'll have more information about that later this week.